In purchasing tickets for entry into ZSL London Zoo and or ZSL Whipsnade Zoo (each an “Attraction”) you enter into an agreement with the Zoological Society of London, registered charity number 208728 (in this section “ZSL”) on these Terms which incorporate the “Common Terms” on this website applicable to all transactions. Please note that all ticket prices are subject to change without prior notice and can vary by date of visit or through different sales channels (e.g. website and at the gate). Book online at zsl.org up to 23:59 two days before your visit to receive 10% off standard gate prices (i.e. Before 23:59 on Thursday to visit Saturday). Tickets bought within two days of your visit will be charged the walk-up gate price. A Child is a person aged from 3 year to 15 years (inclusive)*. A Disabled Child ​is a Child with accompanying supporting documents**. Children under the age of 3 may enter free of charge. An Adult is a person aged from 16 to 64 years old (inclusive). A Disabled Adult ​is an Adult with accompanying supporting documents**. Free entry for one essential carer per paying disabled visitor. This will be applied at the Gate. A Senior is a person aged 65 years or more, with accompanying supporting documents**. A Student is any Adult holding a valid photographic identity card** showing they are a current student. A Group is 10 or more people. Groups will receive 25% off online ticket price when booking online at zsl.org up to 23.59 two days before their visit. Groups will receive 25% off standard gate prices when tickets are bought within two days of the visit either online at zsl.org, or at the gate on the day. Youth Groups and School Groups are also eligible for special rates – See Groups section below for details. *Children with a valid Blue Peter badge can enter either Zoo for free when accompanied by a full paying adult buying a ticket at the Gate. Please note, you cannot use a Blue Peter badge in conjunction with other offers or discounts, including ZSL’s online booking discount, and there must be one full paying adult per child with a Blue Peter badge in order to take advantage of this offer. **​ ZSL reserves the right to charge the applicable general admission rate to any person not able to validate their entitlement to Concession rates. Fast Track: Fast track tickets allow visitors to skip general admission queues, for an additional charge. Fast Track is available on Saturdays, Sundays and Bank Holidays between 6 April – 2 Sept 2019, for entry between 10am-2pm at ZSL London Zoo only and may be purchased in advance or on the Gate. Fast Track entry after 2pm is via the main gate. Flexi-ticket or open-ended ticket: Available at additional charge, Flexi tickets are valid for a single visit any day within twelve months from the date of purchase only. Special Children’s Day: Child prices for ZSL’s Special Children’s Day events apply to ages 3-18 inclusive. Tickets sold at the Gate are valid only for the date they are purchased. Tickets sold Online are valid only for the date stated upon them. Tickets do not guarantee car park entry and parking charges are not included within the price. Tickets are non-transferable to other Attractions or persons and may not be resold without the prior written consent of ZSL. If any person attempts to enter an Attraction with a ticket that has been resold without ZSL’s written consent, ZSL may refuse entry and no compensation is payable to that person by ZSL. As part of your ticket, you can add an optional 10% donation which helps us continue our conservation work in the UK & abroad. By agreeing to pay this optional donation, we can claim Gift Aid on the full ticket price if you are a UK tax payer. Last entry is one hour prior to the advertised closing time. Re-entry is not permitted at ZSL London Zoo, however re-entry is permitted at ZSL Whipsnade Zoo with a valid stamp from the main gate. No dogs are allowed on Zoo premises. This includes Assistance dogs. Bicycles and motorbikes are not allowed on Zoo premises. Roller skates, rollerblades, skateboards are not allowed on Zoo premises. Children's scooters are permitted as long as they are supervised by an adult. Heelys roller shoes must not be used as skates but may be worn as shoes. Buggies and pushchairs are left unattended at their owner’s risk and any containers left unattended may be removed for security reasons. ZSL accepts no responsibility for damage to or loss of personal property brought into Attractions. Has behaved in a manner which, in the opinion of ZSL, has, or is likely to, adversely affect the animals at the Attraction or the safety or enjoyment of other visitors. Has used threatening, abusive or insulting words or behaviour, or in any way provokes or behaves in a manner which may provoke a breach of the peace or may disturb animals. Is, or appears to be, under the influence of drugs or alcohol. Any weapons, fireworks, smoke bombs, glass bottles, blades, flammable liquids or other articles that may cause injury. Skateboards, rollerblades, roller skates, bikes and other forms of personal transport. Balls, frisbees, balloons or any other similar item. To prevent offensive weapons or dangerous articles being taken into the Zoo, visitors are admitted subject to a condition that, if requested to do so, they will allow themselves and/or their belongings to be searched by ZSL staff. ZSL reserves the right to amend pricing and opening times entirely at its discretion and without prior warning. Other General Admission Terms and Conditions also apply to Groups. To give our group visitors the best value for money ZSL London Zoo operates a tiered ticket price system. Parties of 10 or more people are eligible for our Group discount. Groups will receive 25% off online ticket price when booking online at zsl.org up to 23.59 two days before their visit. Groups will receive 25% off standard gate prices when tickets are bought within two days of the visit either online at zsl.org, or at the gate on the day. Tickets are only valid for the date stated upon them. Visitors claiming a concession ticket rate must show appropriate proof of entitlement (e.g. NUS card, pension booklet, passport) at the point of entry to be admitted under any Group or Bulk ticket. Bulk tickets are not available for resale. Bulk ticket vouchers are not to be used in conjunction with any other ZSL or third party ticket offer or promotion. Special rates are also offered for Youth Groups and School Groups – please see further links on zsl.org for details, including additional T&Cs: School visits, Youth Group visits to ZSL London Zoo or Youth Group visits to ZSL Whipsnade Zoo. Once purchased, neither the person nor Attraction for which an e-ticket has been purchased may be changed. E-tickets are only valid for the date stated upon them, with the exception of Flexi tickets. Payments for e-tickets are non-refundable. A legible print-out of your e-ticket to be scanned. Failure to bring a print out with you may delay the admission process. ZSL reserves the right to charge the normal Attraction entry rates to any person not able to validate their e-ticket in the above manner. Any additional persons wishing to enter with an e-ticket holder will be required to pay the normal Attraction entry rates. Additional Terms and Conditions may apply to Promotions, Offers and tickets bought through a Third-party. Please read terms and conditions provided by the Promoter or Third-party Supplier before purchasing. Many promotions are only redeemable at the gate and cannot be used in conjunction with any other offer or discount. Please check voucher terms and conditions for validity. ZSL reserves the right to decline any promotional voucher. ZSL cannot guarantee that all animals will be on show at the Zoos throughout the day. For various reasons, including animal welfare, certain animals may be off show to the public without prior notice. In making a donation (including those added when purchasing a Membership or e-ticket) through this website you are donating, unless otherwise stated, to the Zoological Society of London (“ZSL”), a registered charity, registered charity number 208728. When making a donation you may elect to have Gift Aid apply to the donation. We can claim up to 25p of every £1 you give us. By choosing to Gift Aid you are confirming you are UK taxpayer and understand that if you pay less Income Tax and/or Capital Gains Tax than the amount of Gift Aid claimed on all donations in the tax year it is your responsibility to pay any difference. You are also acknowledging that gift aided tickets / membership are for members of your family or yourself. You are can help ZSL protect animals and their habitats by making one-off and regular donations via your mobile phone. Text PRIDE to 70300 to make an automatic monthly donation of £3 to ZSL. Each month you'll receive a free text as a reminder, the day before your gift is due. If you're happy to give you don't need to do anything and you'll be charged £3, or you can choose to skip a month. You will be charged £3 plus one message at your standard network rate in the first month, and £3 a month thereafter. 100% of every £3 charged to your mobile bill goes to ZSL. If you'd prefer not to give, reply SKIP within 24 hours of receiving the free reminder text and we won't take your donation that month. Sometimes you’ll also receive a web-link, so you can view this content on an internet-enabled phone or computer. We won't charge you for content but, as with any mobile browsing, viewing could mean you incur charges from your network provider. By using this service, you agree that we can text you on your mobile in the future. One important reason why we may call is to talk to you about the government's Gift Aid scheme, which allows us to reclaim the tax you have already paid on your gifts and make them worth 25% more, at no cost to you. But if you'd rather we didn't call, please text NO CALL to 70500. We hope that you won't cancel your gift and that you'll use the SKIP system if you decide not to give in a particular month. However, if you want to end your gifts permanently, you can text STOP to 70500 to unsubscribe altogether. Your network will pay us from money collected from your mobile account or prepay balance. If you'd like to talk to us about giving through your mobile, please call on 03306600425. If you have decided that text giving is no longer a suitable way to donate to ZSL, why not consider setting up a bank direct debit. Do you have a question about ZSL Membership? ZSL reserves the right to determine the benefits, fees and subscriptions for each category of membership that an individual shall be required to pay when first applying for ZSL membership and at the time of renewal of their membership. Membership is based on a standard 12-month contract and starts on the date of purchase unless agreed otherwise by ZSL e.g. for Gift Memberships. 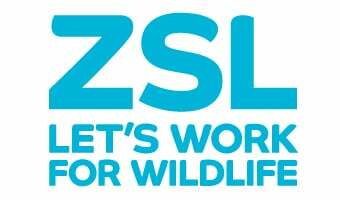 ZSL may reject any application for membership where an individual, corporate body, association or organisation appears to them to be in eligible for membership or for any other reason where they consider it to be in the interest of ZSL not to do so. Entrance to ZSL Whipsnade and London Zoo remains subject to all other standard terms and conditions of entry. ZSL reserves the right to change opening and closing times of the zoos without prior notice. ZSL reserves the right to close or remove some exhibits or areas within the zoos partly, entirely or at certain times of the year for various reasons including, but not limited to, special events and refurbishment. Standard ZSL terms and conditions apply to all Members. Membership does not constitute a full paying Adult/Child ticket. It therefore cannot be used in conjunction with any offer or promotion. Adult Membership – one named adult. Joint adult Membership – two named adults, living at the same address. Family one Membership – up to one named adult, plus up to five children under 16 years of age in the family group, living at the same address. Family two Membership - up to two named adults plus up to five children under 16 years of age in the family group, living at the same address. Your annual membership will be due for renewal on the last working day of the twelfth month of your membership. We will always email or write to you in the month beforehand, to invite you to renew. Members paying by Direct Debit will be sent a reminder email advising you of when your annual subscription will be taken from you bank account. Your membership card will be updated automatically so there is nothing for the member to do. Members paying cash, cheque or credit/debit card will be sent a renewal notice by post approximately one month before their expiry date. Online: Click here to select your tickets. Your half price discount will be automatically added to your basket when you use the original login you purchased your membership with. Zoo entrance: Visit either ZSL London or Whipsnade Zoo’s main entrance with your membership card. For family/joint membership packages, adults and children added to a family/joint membership package must be living at the same address and proof may be required. Each member within the family group will be issued with their own card and this must be produced and scanned upon each visit. Children under the age of 3 are free to enter both ZSL London and Whipsnade Zoos, however they are not entitled to the benefits associated with Membership. From the age of 3, children will require their own paid membership. A Child Membership is applicable to those aged from 3 to 15 years old. An adult must accompany children 15 years old or younger. An Adult Membership is applicable to those aged from 16 to 59 years old. Concessions - Concessions apply to senior citizens (60 years and over), students (full-time) and people with disabilities after providing proof. Membership cards are not valid after their expiry date and remain the property of ZSL at all times. ZSL Membership card holders are entitled to entry to ZSL London Zoo and Whipsnade Zoo, during normal opening hours. You can view our opening hours at zsl.org. Admission will not be granted under any circumstances without the production of a valid Membership card. ZSL operates on a two-strike policy. If a member fails to present a membership card twice on the day of admission, you will be charged £5 to reprint the card. The Membership photo card is not a credit card, charge card or cheque guarantee card. Membership is for use by the named holder only and is not transferable under any circumstances. Any misuse of a membership card will result in it being confiscated with no refund. A card cannot be given away, sold or transferred. Membership card photocopies are not valid. An administration charge of £5 will be made for lost or replacement Membership photo cards. Please call the Supporter Services prior to your visit on 0344 225 1826 so we can take payment and provide you with a temporary access pass. A membership pass may not be valid for entry on certain special events in the zoo calendar (e.g. Zoo Nights) and this will be advertised as such. There will be an additional fee payable for member entry to such events. All events are subject to availability. ZSL Membership does not guarantee availability to ZSL Events – applications are to be made on an event by event basis. Special Offers – Unless otherwise advised, special offers including joining offers are only available once to each Member of ZSL. Each offer will also be subject to additional Terms and Conditions. These dates are inclusive and car parking at these times will be charged at the applicable rate. Visitors using the car park but not visiting ZSL London Zoo will be charged at the applicable rate. Members of ZSL are entitled to 50% off car entry at ZSL Whipsnade Zoo and free parking in the external car park only. If a ZSL Whipsnade Zoo car pass is purchased it will be added to your membership card and appear when the membership card is scanned. To enable ZSL to provide standard membership benefits, such as Wild About magazine, Members' details are passed to carefully selected and audited suppliers for processing purposes only. ZSL Member benefits and prices may be subject to change at any time. No refunds can be made. Members who renew by direct debit without a lapse in membership are given two half price Zoo tickets for the family to use to gain discounted entry to ZSL London Zoo. These vouchers bear no cash value and cannot be sold on. 10% discount in the Cafés applies to Base Camp Restaurant, River Cottage Kitchen & Deli, Africa Outpost, Station Store Picnic Shop, Visitor Centre Café and Hullabazoo Café at ZSL Whipsnade Zoo but cannot be used in conjunction with any other offer. Members who renew by direct debit without a lapse in membership are given two half price Zoo tickets for friends and family to use to gain discounted entry to ZSL Whipsnade Zoo. These vouchers bear no cash value and cannot be sold on. Tickets can only be redeemed against Membership within two weeks of your visit, on a like-for-like basis, for example you will be able to exchange two adult tickets against a joint adult membership. Please note voluntary donations included in the ticket price cannot be redeemed against Membership. Please keep your tickets and send them back to us with your completed application. Only tickets* purchased through ZSL, Tesco PLC and National Rail can be redeemed against the price of Membership. *Special ticket types (e.g. bulk tickets, weather buster) are not redeemable against membership benefits. Adult admission tickets cannot be used as value against child memberships, or vice versa. Direct Debit is a safe, secure and easy way to pay. You are protected by the Direct Debit guarantee. You will make a single annual payment at the start of each Membership year. We will always contact you before we take a Direct Debit payment, to ask whether you wish to renew your Membership and to remind you that your payment is due. This means that you stay in control. When you chose to pay your Membership subscription to ZSL by Direct Debit, you agree to authorise Direct Debits from the account detailed in this instruction subject to the safeguards assured by the Direct Debit guarantee. You understand that this instruction may remain with ZSL and if so, details will be passed electronically to your bank/building society. If there are any changes to the amount, date or frequency of your Direct Debit ZSL will notify you 10 working days in advance of your account being debited or as otherwise agreed. If an error is made in the payment of your Direct Debit, by the ZSL or your bank or building society, you are entitled to a full and immediate refund of the amount paid from your bank or building society. If you receive a refund you are not entitled to, you must pay it back when ZSL asks you to. In the event that a Direct Debit payment is rejected by any bank (for reasons other than a cancellation at the payers’ or banks’ request) the membership fee will be resubmitted for collection at the next payment date (this will be confirmed to you in writing). If payment is not successful after this second attempt, ZSL will seek to take an alternative payment and the membership will be suspended during this time. If you wish to cancel your membership, you can do so by contacting us at membership@zsl.org or calling 0207 449 6200. Please be aware that we do not offer a refund. Once payment has been received by ZSL you are not entitled to cancel or terminate before the expiry of the Membership Period. You can end your membership at the end of your initial term or at any point after the initial term by giving us at least one month's notice in writing to Membership Department, ZSL Whipsnade Zoo, Dunstable, Bedfordshire LU6 2LF or membership@zsl.org. If you fail to notify ZSL with at least one’s month’s written notice ZSL reserve the right to charge for the next period of membership. Membership will automatically terminate at the end of the period you have paid for if payment is not received for the next period. In purchasing an adoption of an animal (an “Animal Adoption”) at ZSL London Zoo and/or ZSL Whipsnade Zoo (each an “Attraction”) you enter into an agreement with the Zoological Society of London, registered charity number 208728 (in this section “ZSL”) on these adoption specific terms that incorporate the “Common Terms” on this website applicable to all transactions. Each Animal Adoption includes the benefits as stated on the Animal Adoption web page at the time of making your purchase only. ZSL reserves the right to change these benefits at any time and without prior notice. An Animal Adoption may only be in the name and email address of an individual as indicated at the time of application. The adoptions are non-transferable once redeemed. An Animal Adoption is for a named individual animal unless specified in advance by ZSL, which will usually be for limited promotional purposes. Adoption does not imply ownership nor does it create any liabilities in respect of an animal. Adoptions are not exclusive and other people can also adopt the same named animals which feature in the Adoption scheme. In the event of the named animal or particular species of the Animal Adoption ceasing to be on display at the relevant Attraction due to death or relocation to another collection, we will endeavour to find an alternative animal which will be offered for the remainder of the Animal Adoption period. If the same species cannot be offered then we will offer an alternative species. Unfortunately ZSL cannot offer a refund in such circumstances. ZSL endeavours to ensure that all animals on the adoption scheme are on-show each day, but due to unforeseen circumstances this is not always possible. ZSL will attempt to notify all adopters via the email updates, and also update their animal's personalised web page with information. Please visit their web page before visiting to check for any updates. Any Animal Adoptions that are purchased to be used as company benefits or incentives, competition prizes, or any other promotional, fundraising or public relations activity are subject to an additional surcharge. Please contact generalenquiries@zsl.org for further details. ZSL reserves the right to refuse such applications and neither can we offer exclusivity. You warrant that in entering into a transaction for an Animal Adoption you are not an excluded organisation. ZSL reserves the right to refuse applications from individuals or organisations should it suspect that there would or could be a conflict of interest with its mission and status as a registered charity should the Animal Adoption go ahead. Any complimentary e-tickets issued in conjunction with an Animal Adoption entitle the bearer entrance to the zoo where their adopted animal lives, as specified on each individual ticket. Adoption e-tickets are valid for use only by the adopter and their family. They are only valid on the date, chosen by the user when they redeemed it and as specified on the relevant ticket, and are not replaceable or exchangeable if lost or stolen. These tickets are only valid for standard Zoo opening hours and are not valid for entry into special events e.g. Sunset Safari. Tickets must be redeemed the day before your visit. Entrance to an Attraction to see a species that is the subject of an Animal Adoption does not guarantee that any particular species or animal will be on public display at that time. Entrance to an Attraction in conjunction with an Animal Adoption remains subject to all other ZSL standard terms and conditions of entry. Delivery of the welcome email which will allow the adopter to access their online Animal Adoption pack is by email and accompanying text (if mobile number is entered), will be delivered on the day or a date specified by the purchaser. Delivery of Wild About Magazine is by Royal Mail, and ZSL cannot be held liable for any delivery delays following despatch. After you have redeemed your adoption and selected to view the Wild About magazine online, ZSL is unable to change your requirements to then receive it in the post. Unless otherwise stated an Animal Adoption runs for a period of 12 months from the date that it was redeemed (not from the date that it was purchased). Adoptions are non-refundable, unless due to exceptional circumstances. This is at ZSL’s discretion. ZSL reserves the right to change the price of animal adoptions at any time, and the difference in price will not be refunded. These terms apply to Keeper for a Day (adult & junior), BedBUGS sleepovers, Lookout Lodge, Gir Lion Lodge, Photography workshops, Hullabazoo birthday parties, the Friendly Spider Programme, Camping Experiences and Meet the Animals experiences and Gift packs. ZSL reserves the right to alter the experience on any given day due to animal welfare, health issues, staff shortages, bad weather or changes to the zoo’s collections, but will ensure that if this is the case, then the activity will be replaced with another similar task. ZSL endeavours to keep such changes to a minimum. Over the course of time, sometimes activities have to be changed and therefore may be different to what was advertised at the time of purchasing. ZSL reserves the right to change or cancel any dates on any of the above experiences for reasons such as the minimum number of participants has not been reached, extreme bad weather, staff shortages, animal welfare issues or force majeure. ZSL will endeavour to notify you as soon as possible. Regrettably, ZSL cannot cover travel, accommodation or any other related costs if it is forced to cancel a date. When the duration of the experience is mentioned on our website, marketing material or by a member of our staff this is an approximate guide. Open-ended vouchers are available on the following experiences; Keeper for a Day (adult and Junior), photography workshops, Meet the Animals, Gir Lion Lodge and Lookout Lodge. Unless otherwise stated, vouchers for are valid for one year from date of purchase. It is the participant’s responsibility to ensure a date is booked and completed before expiry. All of our experiences are very popular so we recommend booking a date in advance to avoid disappointment, on some occasions there can be a 4 month wait. ZSL is not responsible for unauthorised use of your voucher. A full refund will be made on open-ended vouchers, providing a date has not been booked and the voucher has more than three months until expiry. Once a date has been booked for Keeper for a Day (adult and Junior), Photography workshops, Gir Lion Lodge and Lookout Lodge, a full refund or date change will be made as long as it is a minimum of 2 months before the date of the experience. Once a date has been booked for BedBUGS sleepovers, Camping Experiences, Friendly Spider Programme or Meet the Animals experiences, a full refund or date change will be made as long as it is a minimum of 14 days before the date of the experience. After this time, only exceptional circumstances will be considered for date changes, extensions or refunds. All refunds are made to the card that the experience was purchased with. The participant’s name can be exchanged providing ZSL is given a minimum of seven days’ notice. If the person who arrives does not match our records they will not be allowed admittance onto the experience. For a full refund an exceptional circumstance is illness/injury, or bereavement. For changing the date, an exceptional circumstance is the same as above plus jury service, mechanical breakdown and severe travel delays. ZSL will require proof of any exceptional circumstance. Work commitments or holidays/trips away from home are not deemed to be exceptional circumstances. Each application will be considered individually. Once a date has been changed due to exceptional circumstances, we are unable to reschedule it again for any reason. ZSL will allocate places on a first come, first served basis. Please do not assume your experience is booked until you have received your booking confirmation email or letter, this is required for admittance on the day. You should not make any travel or accommodation arrangements in connection with the experience or book spectator tickets until you have received your booking confirmation by email or by post. Pregnant or nursing mothers are welcome to participate on all of our experiences, apart from any Keeper for a Day experience and all of our Meet the Animals experiences. In this instance only, ZSL will process a full refund (Meet the animal experiences) or extend the voucher (Keeper for a day) at no charge until 6 months after the date of the birth. Any experiences that are purchased to be used as company benefits or incentives, competition prizes, or any other promotional or public relations activity are subject to an additional surcharge. Please contact generalenquiries@zsl.org for further details. Standard terms and conditions of entry into the Zoos apply for all participants on our experiences. ZSL reserves the right to ask any participant to leave the site should they behave in an inappropriate or unsafe manner. All experiences have a health and safety briefing at the beginning of the session. It is the participant’s responsibility to ensure they arrive on time. It is essential that all participants attend. Please allow plenty of time to travel to the experience, especially if travelling in or near London, so that you do not miss any of this briefing. Whilst every effort will be made to accommodate those with a disability or learning difficulty, due to practicality this cannot always be achieved; please contact ZSL on generalenquiries@zsl.org for advice before purchasing any of our experiences. Please see below for additional terms and conditions for each experience. Participants must be aged 16 years or over for the adult experience. On the junior experience, participants must be 11-15 years old, plus an accompanying adult over 18 years old who must be present throughout the whole experience. Participants will need a reasonable level of fitness to take part in the activities. Once a date has been booked, the experience is non-refundable if it has to be cancelled due to these restrictions not being met. Exceptional circumstances affecting the accompanying adult will not be taken into account for the junior version if discussing refunds or changing the date. Participants must be over 16 years old. It is the participant’s responsibility to ensure that they bring their camera and all other necessary equipment with them on the day. There will not be any spare cameras, batteries etc. which we can lend you on the day. An equipment list can be found at www.zsl.org/photographyin the FAQs section. It is sometimes necessary for us to change the photographer from the one advertised. We aim to replace them with someone with the same experience, and competency to training. For every 5/6 children, we require at least 1 accompanying adult who must be over 18 years old. The number of adults should never exceed the number of children per group. Accompanying adults also need valid BedBUGS tickets. All participants will sleep in BUGS, you will be allocated sleeping areas for the group you have booked with. In regards to changing facilities there are toilets nearby for the groups to get changed in. All groups need to have an adult with them throughout the night. All children need to be aged between 7 and 11 years old. General admission ticket or valid membership per person must be purchased to be allowed entry into the zoo and take part in any of the Meet the Animals experiences. Appropriate closed toe footwear must be worn for the experience. Children: must be at least 8 years of age and be accompanied by an adult, no more than 2 children per adult. Each adult must also has a valid Meet the Penguins ticket. Children: must be at least 3 years of age, at least 3-foot in height and be accompanied by an adult, no more than 2 children per adult. Each adult must also has a valid Meet the Giraffes ticket. Children: must be at least 5 years of age and be accompanied by an adult, no more than 2 children per adult. Each adult must also have a valid Meet the Meerkats ticket. Children: must be at least 6 years old and be accompanied by an adult, no more than 2 children per adult. Each adult must also have a valid Meet the Rainforest ticket. The experience is not suitable for those with nut allergies. Children: must be at least 12 years old and be accompanied by an adult, no more than 2 children per adult. Each adult must also have a valid Meet the Lions ticket. Children: must be at least 12 years old and be accompanied by an adult, no more than 2 children per adult. Each adult must also have a valid Meet the Tigers ticket. Once a date has been booked, a full refund on all tickets and upgrades or a date change will be made as long as it is a minimum of 1 month before the date of the party. Upgrades and individual child or additional adult tickets can be added or refunded up to 2 weeks before the party date, at which point no change can be made to the booking or refunds given except due to exceptional circumstances. An adult is required to accompany participants under 16 years old. The adult must bring along a signed guardian consent form (which can be found in the booking information pack). The accompanying adult does not need a ticket (unless they wish to participate too). On an Adult only night each lodge can accommodate a maximum of two guests sharing one lodge (twin beds or a double bed). Young adults over 14 years old are welcome to attend as one of the guests on adult only nights, but must be accompanied by an adult aged 18 years or older. Children aged 14-17 years can stay in a lodge on their own provided that there is an adult aged 18 years and above attending on the same night. On a Family friendly night, children aged 5 – 13 years old are welcome to attend, with an accompanying adult. Each lodge can accommodate 2 adults and 2 children, or 1 adult and 3 children. Please note, under 5’s are not permitted on any night. Children aged 5-13 years cannot stay in a lodge without an adult aged 18 years and above in the same lodge. You can enter ZSL London Zoo any time after 10am on the day of arrival but you must be at the Gir Lion Lodge reception area at 17:00pm to check in. If you are running late on the day of your experience, please call your hosts on 079 1778 4522. (Please note: Guests are welcome to spend the day of departure at either ZSL London Zoo or ZSL Whipsnade Zoo). Please visit www.zsl.org/gir-lion-guest-pack to download the guest information pack. This includes further information on your stay including an itinerary, directions, frequently asked questions, and terms and conditions. Young adults aged 14-17 years can stay in a lodge on their own provided that there is an adult aged 18 years and above attending on the same night. On a Family friendly night, children aged 5 – 13 years old are welcome to attend, with an accompanying adult. Each lodge can accommodate a maximum of 2 adults and 2 children, or 1 adult and 3 children. Please note, under 5’s are not permitted on any night. You can enter ZSL Whipsnade Zoo any time after 10am on the day of arrival but you must be at the Lookout Lodge reception area at 16:30pm to check in. If you are running late on the day of your experience, please call your hosts on 07796 756146. (Please note: Guests are welcome to spend the day of departure at either ZSL Whipsnade Zoo or ZSL London Zoo). Please visit http://www.zsl.org/guest-pack to download the guest information pack. This includes further information on your stay including an itinerary, directions, frequently asked questions, and terms and conditions. Participants are required to provide their own tent which must not be larger than 4 metres by 4 metres. For every 5/6 children, we require at least 1 accompanying adult who must be over 18 years old. The number of adults should never exceed the number of children per group. Accompanying adults also need valid Camping tickets. Children aged 5-13 years old must sleep in the same tent as an adult aged 18 years or older. Children aged 14-17 years old may sleep in their own tent but must be accompanied by an adult aged 18 years or older staying in an adjacent tent. All tents will be pitched in a central area of the zoo in close proximity to both male, female and disabled toilets. No showers will be provided. All children need to be 5 years or above to take part. Tickets available at zsl.org. History Tour tickets are only valid in conjunction with a valid ZSL London Zoo Admission ticket for the same date, or a valid ZSL Membership. One History Tour ticket must be purchased per tour participant. The event will still go ahead in inclement weather and tickets will not be refunded if guests choose not to visit due to weather conditions, or other personal choice. In the event that we have to cancel the event due to force majeure, ZSL will seek to find a reasonable alternative date for the event or refund tickets. History tours are available only on selected dates throughout the year. History Tour tickets are only valid for the date and time detailed on the tickets. Failure to arrive in time for the start of your booked tour may mean you will be unable to take part. In such circumstances, tickets are not refundable. However, ZSL will make reasonable efforts to rebook onto an alternative date where possible, subject to availability. The History Tour starts at 10.15am and the meeting point is the gorilla statue by the main Zoo entrance. Tour finishes at around 11am. ZSL’s standard Terms & Conditions of entry apply. We want you to be happy with your purchase. If you're not, just return the product via post or to one of our shops, following the instructions below, and we'll exchange or refund it to the credit or debit card of the person who originally placed and paid for the order. Under the Consumer Rights Regulations, if you purchase online, by phone or from one of our retail shops, you are entitled to a full refund if you request one in writing within 14 working days of receipt. This includes any delivery charge, but excludes the products listed as exceptions below. If you're unhappy with your purchase, please let us know within 14 days of receipt of the goods, either via email at generalenquiries@zsl.org, marking your email with ‘Refund Request’ or by calling our customer service team on 0344 225 1826. The exception to this general rule, is if you specifically require us to perform services within the 14-day period e.g. a Meet The Animals Experience within 14 days of your purchase. In this case, you would not be entitled to any refund where we have fully performed the services. If you return your item to us and you'd like a refund but don't have your receipt, order confirmation or delivery note, we can offer an exchange to the value of the current selling price. Ordinarily if you have your receipt or delivery note we'll refund the original debit, credit or charge card used to purchase or in the case on purchase made within our zoo shops, we will refund the credit or debit card as supplied on the completed returns form. Please see below for full details of our returns and refunds policy. Simply take a print-out of your order confirmation or the delivery note if purchased online and the product you wish to return or exchange to a ZSL zoo shop. Please make sure you also take in the payment card you originally used to buy the product. Enclose the delivery note with the product, and package up securely; please use original packaging if possible, but remove original labels. Please allow 14 days from the collection or posting date for us to credit your account. We will refund the credit or debit card of the person who originally placed and paid for the order or if the goods were purchased from one of our zoo shops, we will refund the credit or debit card details as completed on the returns form. Please allow 2 weeks from the collection or posting date for us to credit your account. We will refund the credit or debit card of the person who originally placed and paid for the order. ZSL is committed to protecting your privacy in accordance with their obligations under data protection legislation. The current data protection law is found in the General Data Protection Regulation as supplemented by the Data Protection Act 2018 and related laws. These Terms and Conditions ("Ts&Cs") shall govern the purchase of Goods and/or Services by ZSL and may only be varied with the written agreement of ZSL. ZSL reserves the right to amend, edit, modify, alter, change and update the Ts&Cs from time to time. It is the Supplier’s sole responsibility to ensure that it has read and understood the Ts&Cs, as may be amended from time to time. Read our full terms and conditions for good and services here.